When it comes to sushi restaurants, Chicago has more great options than you'd expect in a city so far from the ocean. 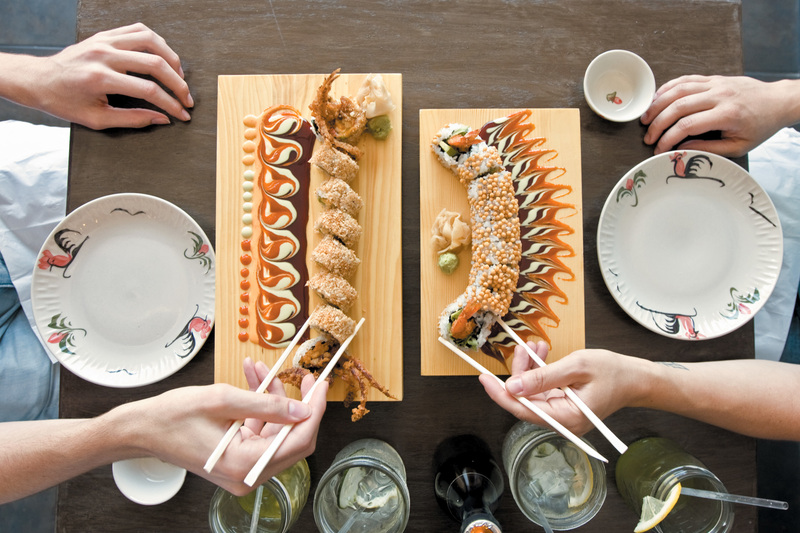 From seafood restaurants with raw fish menus to Japanese restaurants serving both cooked fare and sushi, you can find quality fish all over the city. As a bonus, some of these are BYOB restaurants, which means you can indulge in sushi without padding the bill with booze. We ate our way through dozens of sashimi platters, maki rolls and nigiri to find the best sushi spots in Chicago. 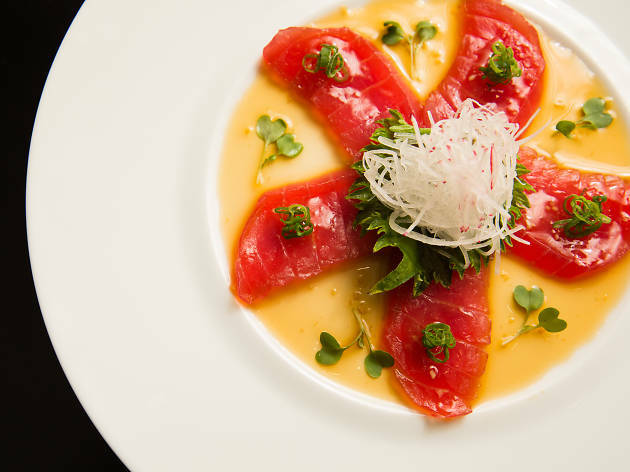 Chopsticks at the ready: Here's where to go when you're craving raw fish. Bringing booze to Kai Zan means a $15 corkage fee per pair, but you'll still get your money's worth out of the $60 omakase menu. Although you can also order everything a la carte, the omakase at Melvin and Carlo Vizconde's restaurant is the way to go, and includes more food than you can eat—rich oyster and uni shooters doctored up with ponzu sauce and egg yolks disappear in seconds, seared tuna maki adorned with truffled scallions and takoyaki, a fried dough ball with a nugget of octopus inside. While these are all fun, utterly delicious takes on Japanese food, the decadence stops short of overwhelming the great fish in the maki and sashimi. Tuna and salmon are packed into a balanced roll with jalapeño, avocado, cilantro, masago, chili and lime, and the omakase ends with a generous plate of sashimi. 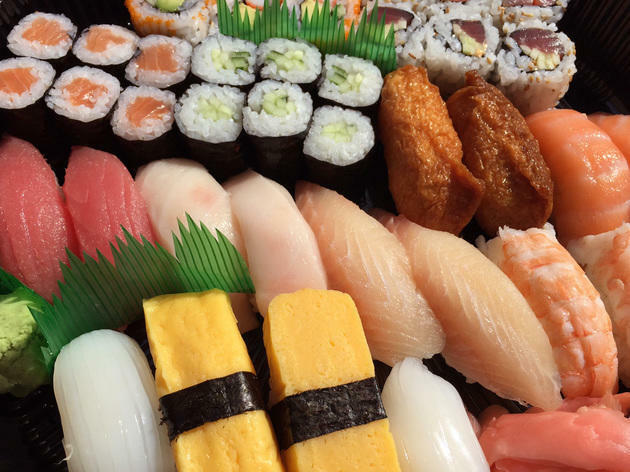 Want the best sushi deal in town? 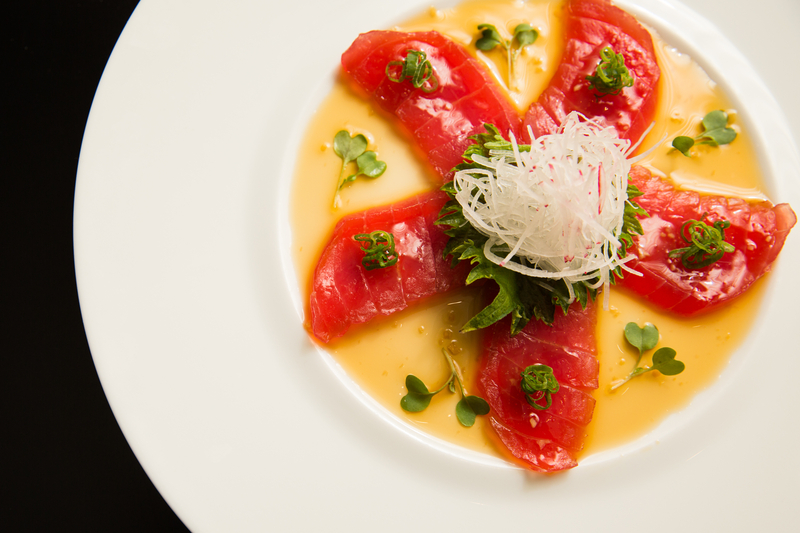 It's at Juno, where sushi chef BK Park is doing God's work when it comes to raw fish. 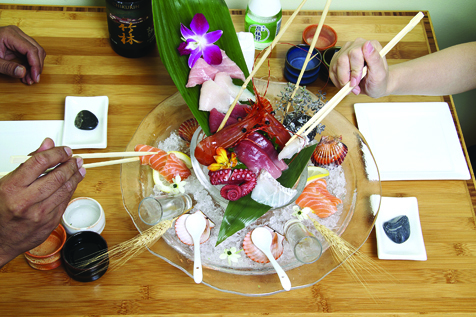 The chef’s choice sashimi, perfectly sliced, spread over ice and adorned with shells and orchids, is $42 for 18 pieces of fish (two each of nine different kinds). 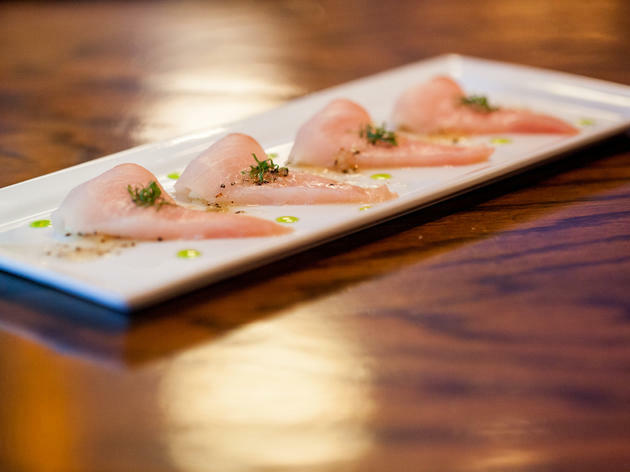 This is a steal, and while it's enough for a solo diner, there are more great things to eat, like the smoked hamachi, which arrives under a glass dome with two spoons cradling lightly smoked pieces of fish. The Juno King consists of two single bites of tuna wrapped around rice and topped with spicy crab—they're delicious. Even the spicy tuna roll is elevated, with a thick piece of tuna and scallions, and a trace of sriracha and chili oil. 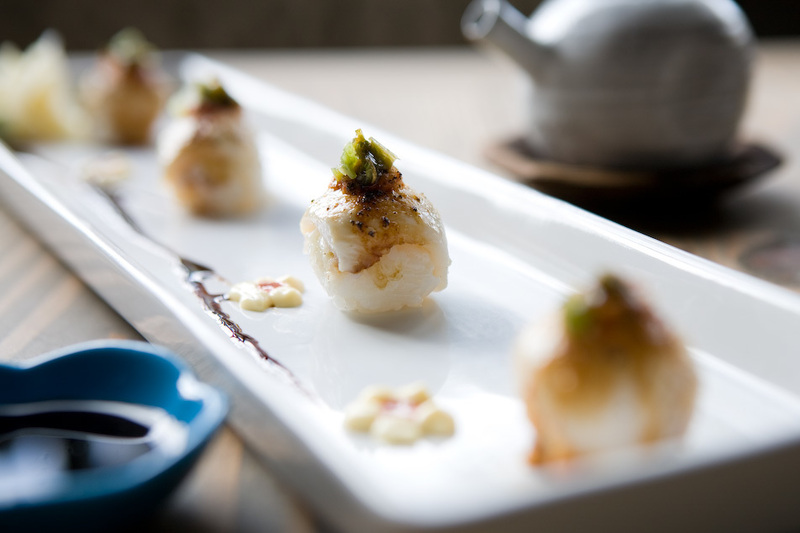 When you're craving something refined, Naoki Sushi is the place to go. 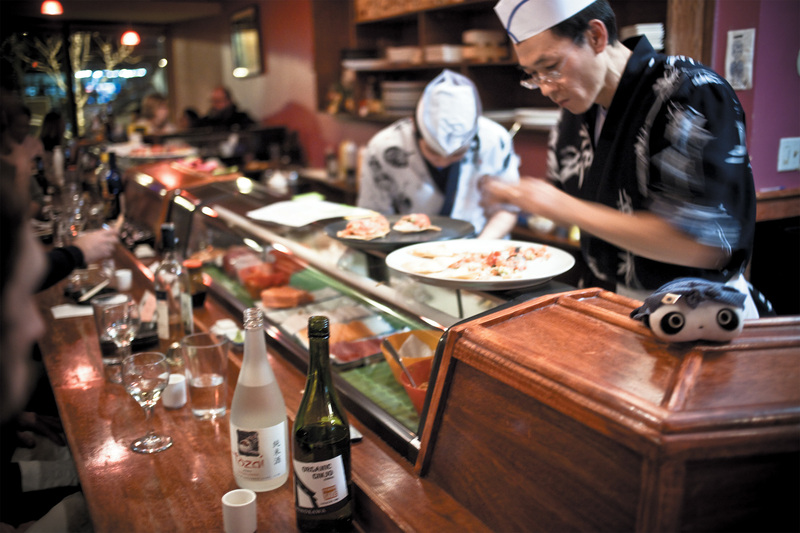 The warmly lit speakeasy-style spot is helmed by chef Naoki Nakashima, who also runs the sushi program at Shaw’s. 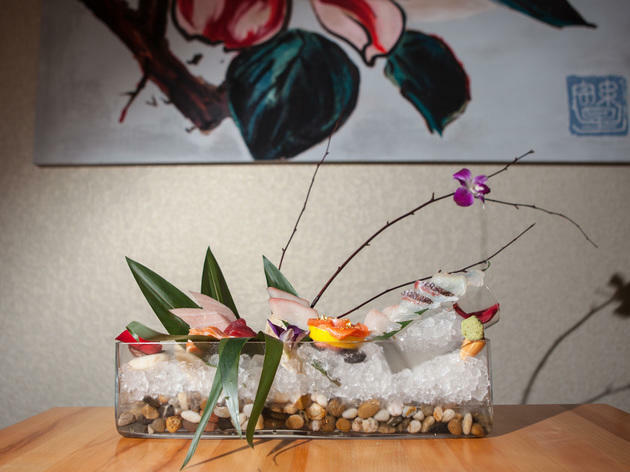 On the menu, you'll find classic selections like yellowtail, scallop, salmon and sea urchin alongside specialty rolls like hamachi with scallion, cucumber and yuzu. 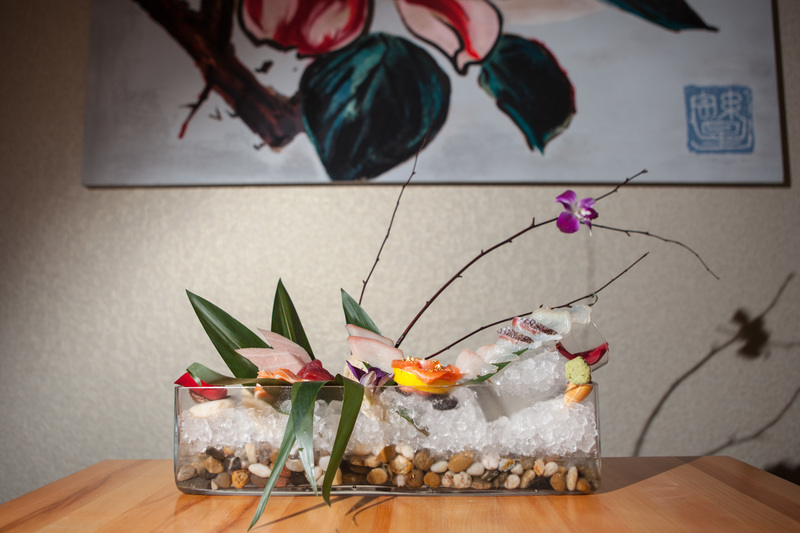 But the star of the menu is a selection of Naoki-style sashimi plates: Slabs of pristine raw fish are served in flower formations and adorned with tasty, simplistic ingredients like ponzu, black truffle and yuzu. There are more than enough good things at Momotaro to have an entire meal without even glancing at the sushi menu, but that would be a mistake. An eight-piece order of nigiri or sashimi omakase is $55–$59, and our server steered us toward the nigiri plate, with composed bites of sweet shrimp, seared mackerel and creamy uni lightly accented with sauces and other ingredients. 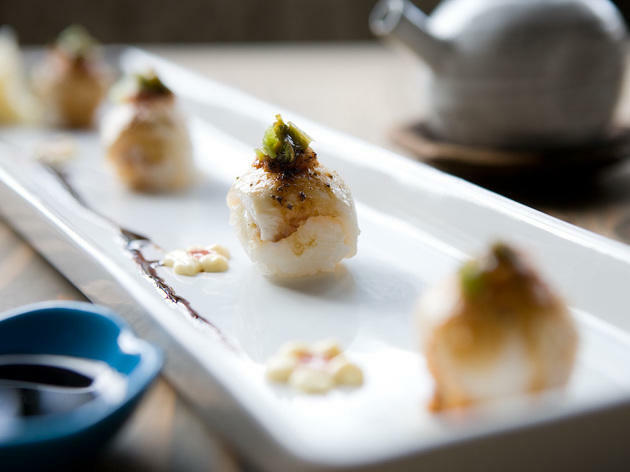 Maki, like spicy octopus with pickled shallots and mackerel padded with a mix of herbs, are well-executed and restrained. Chefs Joseph Fontelera and Nelson Vinansaca have taken up where BK Park has left off, and they're continuing to turn out expertly prepared Japanese dishes. The warm, cozy room seems to encourage you to stay for hours, sipping sake or cocktails like an old-fashioned made with seaweed-infused Japanese whiskey and yuzu-pineapple bitters. 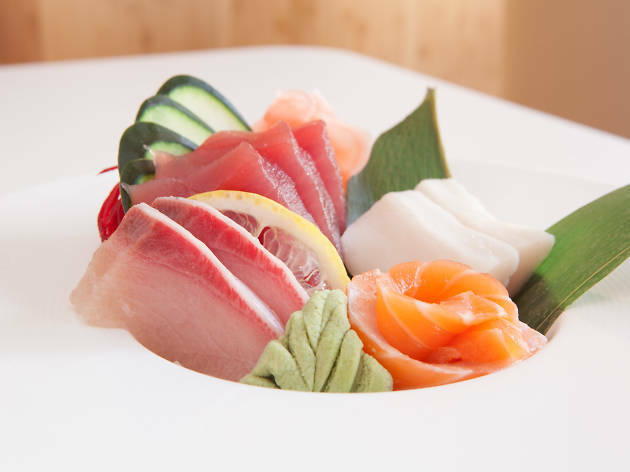 Start with the chef's choice sashimi, which includes 14 slices of neatly sliced seafood, including a meaty piece of octopus and salmon that nearly melts in your mouth. 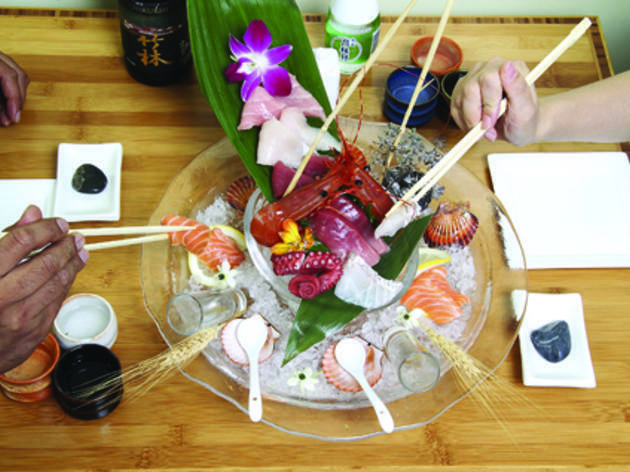 The special nigiri section includes treats like rice wrapped with crab and festooned with spicy Alaskan king crab. But sushi at Arami doesn't just benefit seafood lovers—yasai (vegetables) are available as maki or nigiri and include a slice of tender eggplant squiggled with peanut–red miso dressing. You're in good hands with sushi star Kaze Chan (Kaze, Momotaro), who's crafted a menu of hits using super-fresh ingredients and wildly simple techniques. 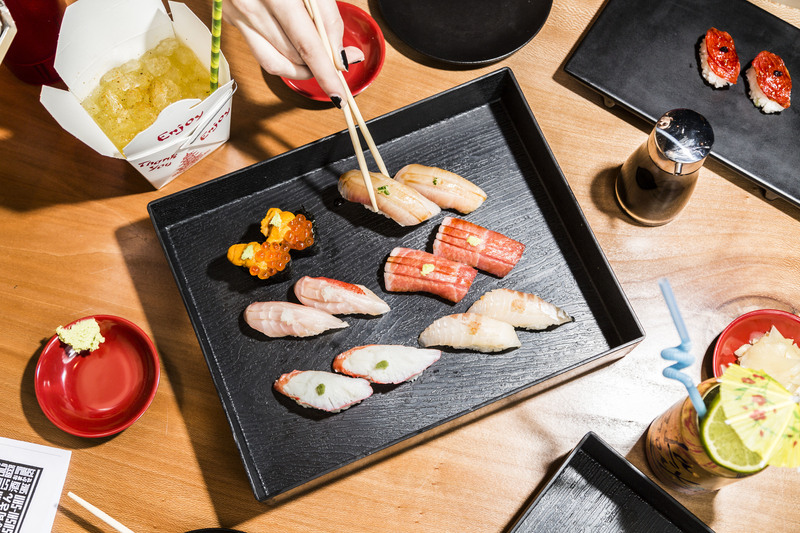 For a full understanding of Chan's skills, splurge on a San-Set, portioned collections of nigiri, sashimi and rolls that are designed to share. For a totally different experience, grab a seat at the hand roll bar, where fresh pockets of crispy seaweed, warm rice and pristine fish are served directly to you from the chefs behind the counter. 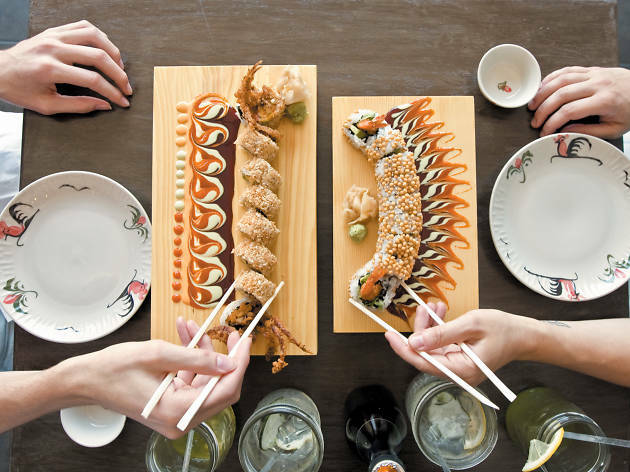 Chan argues that this type of sushi should be gobbled up as soon as it’s constructed; even a 30-second delay in service could spoil the experience. 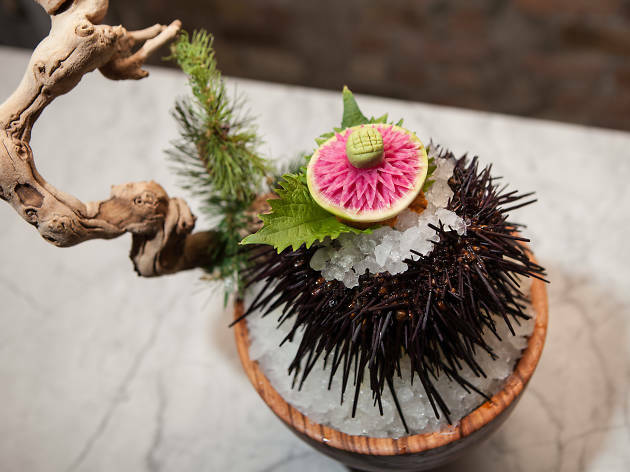 Look for the loyal following of Mike-heads: sushi foodies who’ve followed chef “Sushi Mike” from Hama Matsu and San Soo Gap San to this sushi bar with locations in Andersonville and the West Loop. If you try the cooked items, you’re likely not to go back. 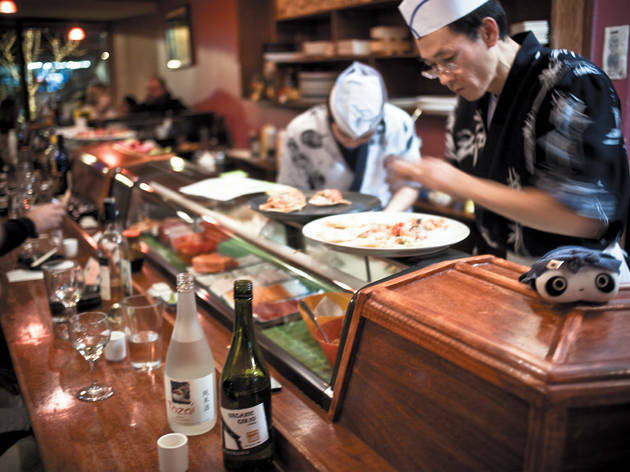 If you order your own sushi, you’re likely to offer up a “So what.” But if you make like the regulars and put yourself in Sushi Mike’s hands (name your price, and he creates a combo), you might just become a believer. If you can get past the clubstaurant vibes that ooze out of this River North spot, you'll discover that the menu is rife with excellent choices. Put your trust behind the chefs and order omakase, a guess-free dining experience that's catered to your tastes and budget. Do be sure to request the baked hand crab roll, a melt-in-your-mouth delicacy that's not to be missed. 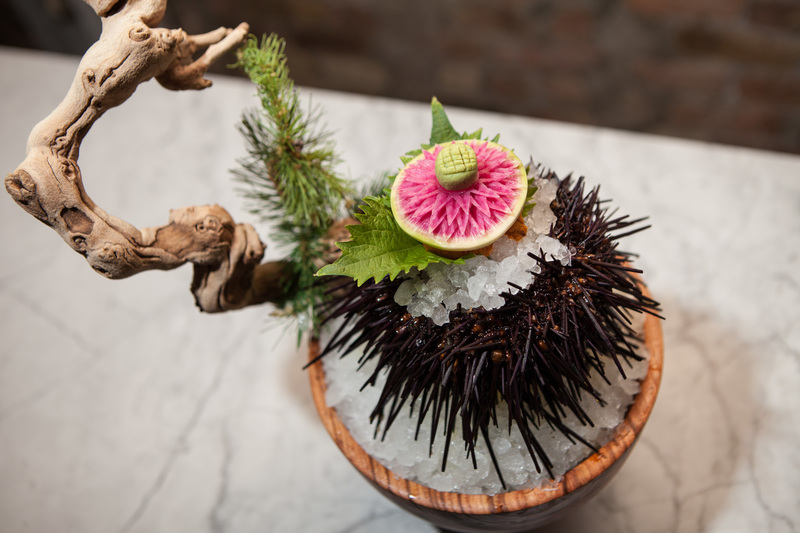 The tiny Edgewater gem has just 14 seats, and the white and light woods make it a serene spot for dining on immaculate slices of sashimi. 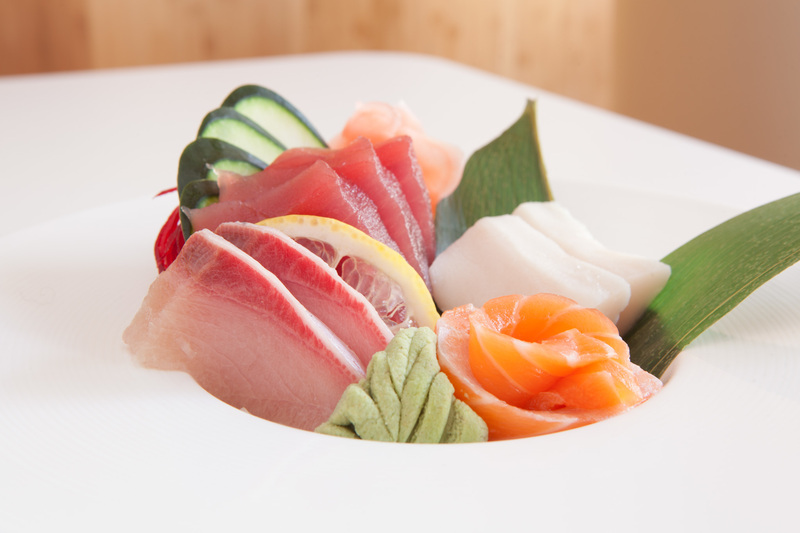 An eight-piece sashimi appetizer is just $10.95, and comes with cleanly sliced tuna, salmon and other fish. Maki lean simple, like a generous salmon and cucumber roll, and combination platters and a few appetizers round out the small menu. Bonus: It's BYOB, so you can have a very solid dinner without spending a ton. Shaw's is one of our go-to spots for oysters and lobster rolls, but the sushi menu is also worth exploring. Given how serious Shaw's is about seafood, it's not surprising that its takes on sushi are simple and well-executed. There are neatly rolled and balanced maki, including combinations like Alaskan King crab, avocado, cucumber and masago, while the slices of salmon, tuna and yellowtail sashimi are precisely cut. 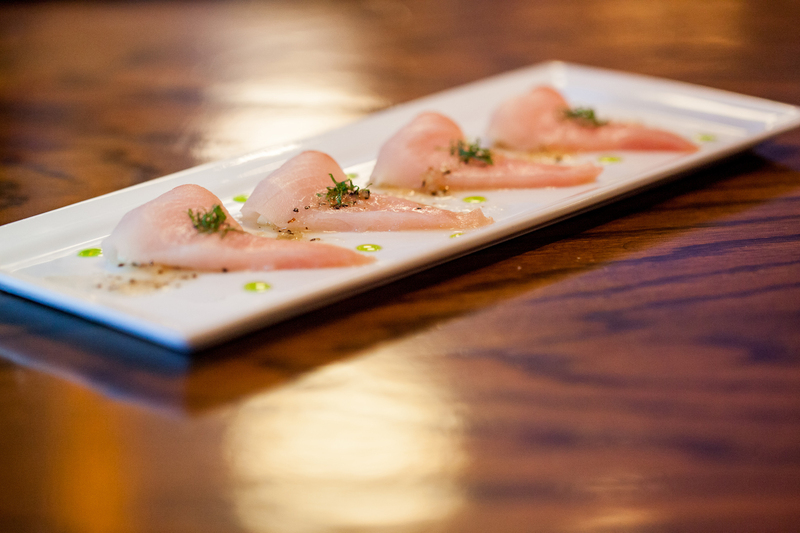 The sashimi is also available "new style," with simple accompaniments like Granny Smith apple, basil, mint, shallots and black pepper vinaigrette brightening up slices of yellowtail. 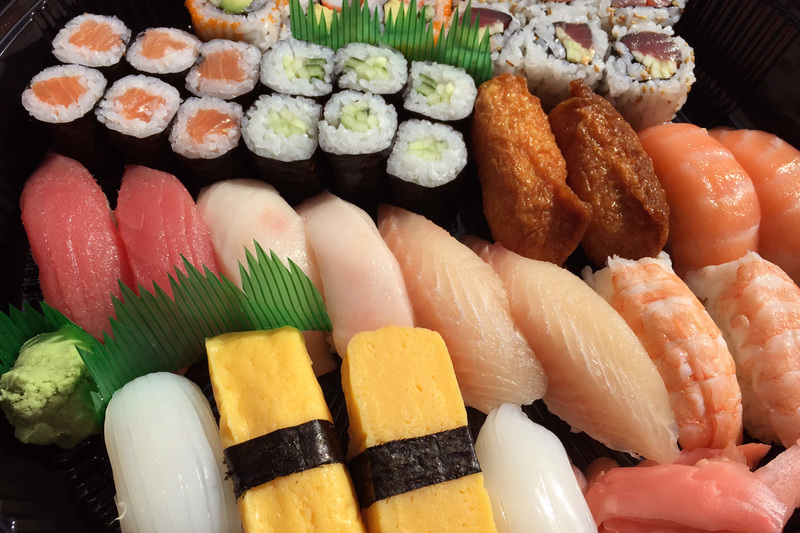 This take-out-only spot in Albany Park is an unexpected gem for sushi. 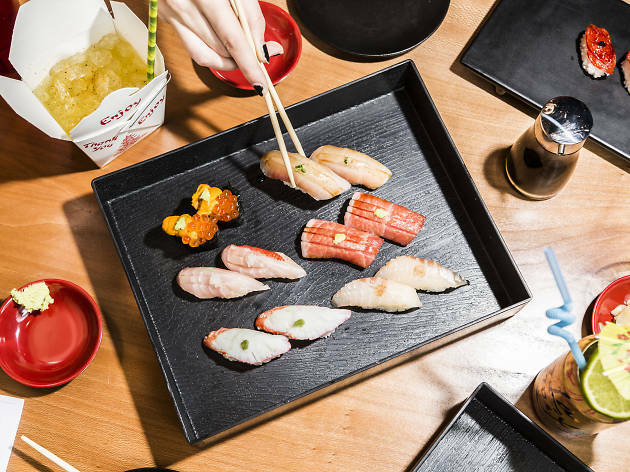 First, it's insanely cheap—a tray with 16 pieces of nigiri, a California roll and a spicy tuna roll is just $21, and most nigiri are $1 apiece, with six-count maki rolls starting at $2. These prices are cheaper than grocery store sushi, and while the maki may not be perfectly wrapped, it tastes worlds better—flavors are clean, from a sweet snapper to supple salmon.